I was driving to a conference this weekend and listening to Growing Bolder on the radio. The guest being interviewed was Sophia Dembling. She has written a new book entitled, The Introvert’s Way: Living a Quiet Life in a Noisy World. It was a very interesting interview and there was one particular topic that really stood out for me. 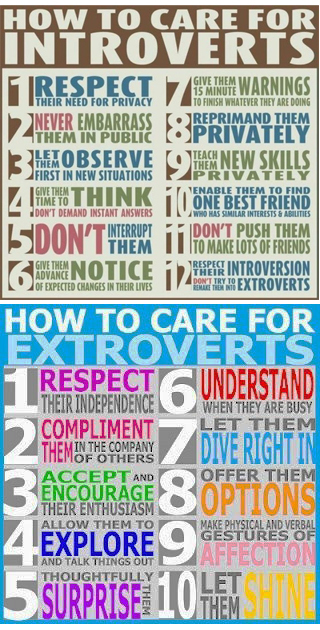 She stated that extroverts not only crave social interaction but are also energized by it. 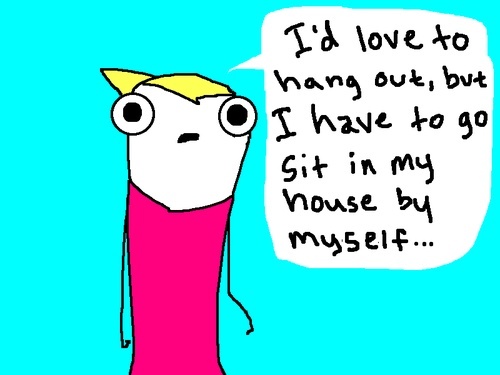 Introverts may like social interaction but are drained by it. Introverts will need some alone time to recharge. Maybe this solves the mystery of why I am usually tired. My job, a job I love, involves at least 40 hours a week of social interaction. I fake being an extrovert pretty well, but it is exhausting. So maybe I do not need blood work, a special diet, or more supplements. I just need to figure out how to fake being energized while pretending to be an extrovert. Somewhere between small business Saturday and cyber Monday should fall a day for blogger businesses. There are wonderful photographers, writers, artists, health purveyors, and many others that are in the blogging world. On Sunday, relax in your favorite computer chair (or couch) and cruise around blogs with credit card in hand. There are ebooks, print on demand books, free ebooks, photos, artist prints, essential oils, vacation retreats, and I am sure that I have missed many things. There are items that fit all tastes and preferences. These gifts are unique. They are not from a box store stampede. You also get to know the person you are purchasing an item from. They have a blog, well, duh. But look around their blog. Do you enjoy their witty sense of humor and view of the world? Do they take you to amazing places? Do they give you insightful and inspiring information? How often do you have the opportunity to learn information about the person you are buying from? How often can you post a comment or ask a question directly to the creator? Are you getting a gift from a blog? Do you have a blog, book or product to promote? Leanne at Mindfulness4now was kind enough to nominate this site and Fred for the Lovely Blog Award. Fred and I were very excited. It is his first nomination! The blog has already excepted this once before and Fred has been out celebrating all week, so I will not make a formal acceptance. Jenni at newsofthetimes was kind enough to nominate me for the Booker Award. 1. Nominate other blogs, as many as you want but 5-10 is always a good suggestion. Don’t forget to let your recipients know. Books and the stories they contain, are like dreams to me. I enjoy the dream but after I wake, I can only remember flashes and a general sense of what I was feeling during the dream. The books that stand out from my childhood are: A Wrinkle in Time and the Chronicles of Narnia. Stephen King’s Bag of Bones is in my top 5 because of the experience. I was driving across the country and listening to the audio book. It was when I learned to love audio books. When I arrived at my destination,my thoughts were in his voice. As I walked down the long, dark halls of the dormitory from a bygone era, an internal dialog was describing the layers of lead paint. Green paint shown where layers of the more recent pink paint peeled away. The Complete Works of Shakespeare stand on my shelf as a reminder of a college course that I thought was a drama class that ended up to be a senior English class. We compared the original works to movies made of the famous plays. My last book is one that I have not read yet. It may be released in the next couple of weeks and I am looking forward to it! The Seneca Scourge by Carrie Rubin, looks to be an exciting and entertaining medical thriller. Click on her name for the blurb. I caught part of an interview broadcast on NPR on the way home tonight. 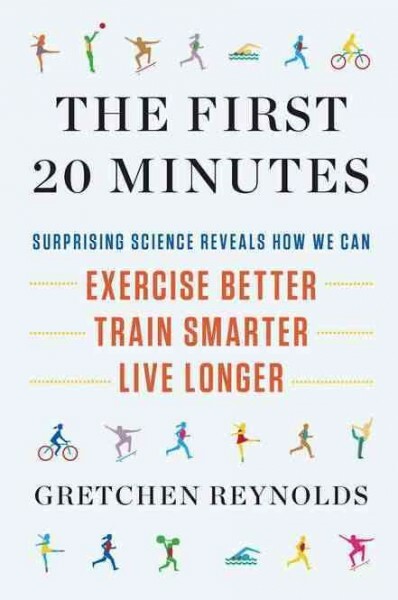 The interview was with Gretchen Reynolds, about her book The first 20 Minutes. It covered topics ranging from the dangers of sitting at a desk all day to chocolate milk having the right protein to carbohydrate balance for a recovery drink after a workout of an hour or more. It also touched on how exercise is good for the brain. If you have the time, it might be worth a look.